Aww! This Pakistani Wife Did Something Super Adorable For Her Husband's First Birthday After Marriage! Aww! This Pakistani Wife Did Something Super Adorable For Her Husband’s First Birthday After Marriage! Remember the days when there was no internet or telephone, and the only way to communicate with your loved ones living miles apart was letters? Safe to say, those days are no more. Technology has taken the world by storm and the internet has made things faster, easier, and more reachable for people, especially for those in long distance relationships. Everyone wishes for someone who would cross oceans for them to make them feel loved and special. The kind of love that people start giving examples of. And soon, their love becomes so big that it reaches every corner of the world. For some, it remains a wish – for others, it becomes a reality! 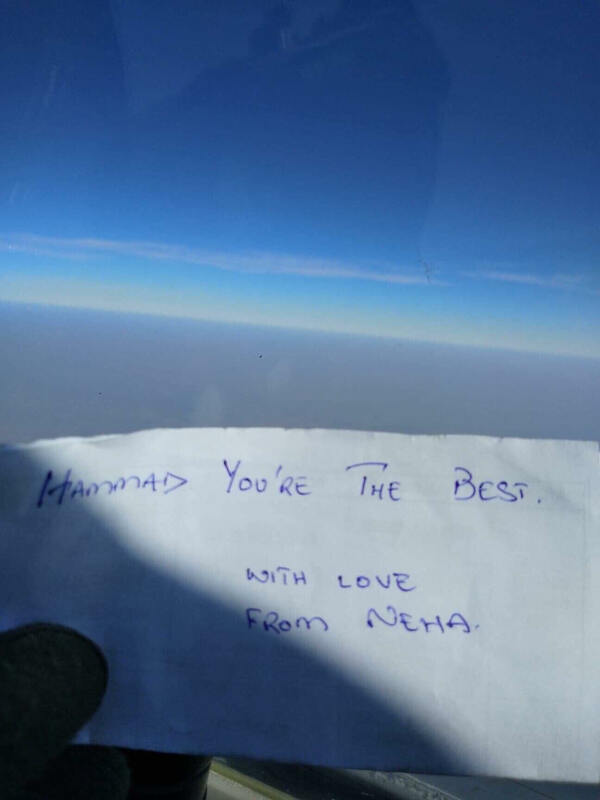 This Pakistani girl, Neha, decided to go the extra mile in her long-distance relationship with her US-based Husband. Wanting to do something extraordinary for his first birthday after their wedding, she managed to gather love notes from 40+ countries with the help of her amazing social media friends from all over the world. “Luckily, I went to Italy for an exchange program a few years back, where I made some amazing friends belonging to different countries. 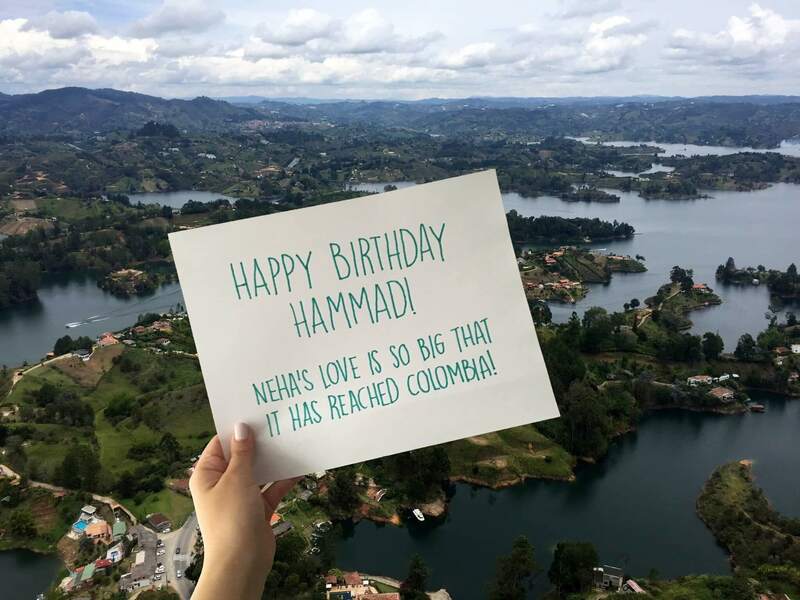 I reached out to them, and they were kind enough to help me collect birthday wishes for Hammad from all over the world. This wouldn’t have been possible without their help!”, Neha added. 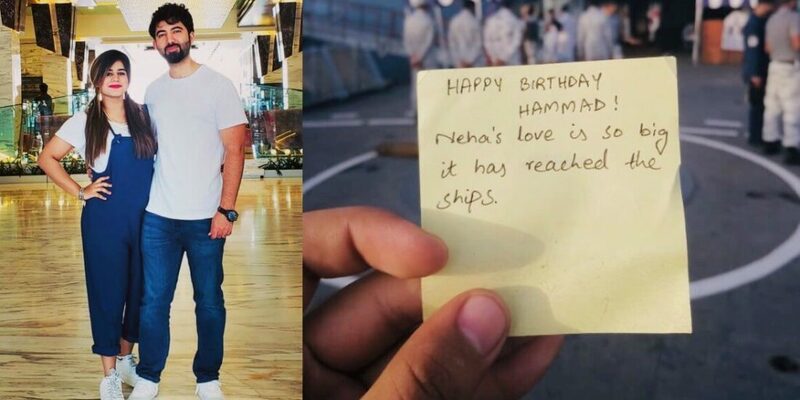 But that’s not all – along with gathering birthday messages from different countries, she also put in the effort to collect messages from people on ships and airplanes! This way, she said, her love had reached Earth, Water, and Air! And guess what? Her husband was shockingly amazed! She asked him to start naming countries, and sent him a birthday wish picture taken in each of the countries he could think of! How cute, right? Fairytales do exist! Places we have never been to. Countries we only see on TV. Friends who are willing to write you a special love note for your special someone – it’s like a dream come true!